Reduces evaporation up to 98%, insulating and warming the water, thereby extending the swimming season. Keeps out leaves, dirt and debris, saving money on chemical cleaning supplies. Completely blocks the sun’s UV rays that cultivate destructive algae. Due to our cooling summer breezes, Gold Coast pools are quite susceptible to evaporation, particularly during the summer months. 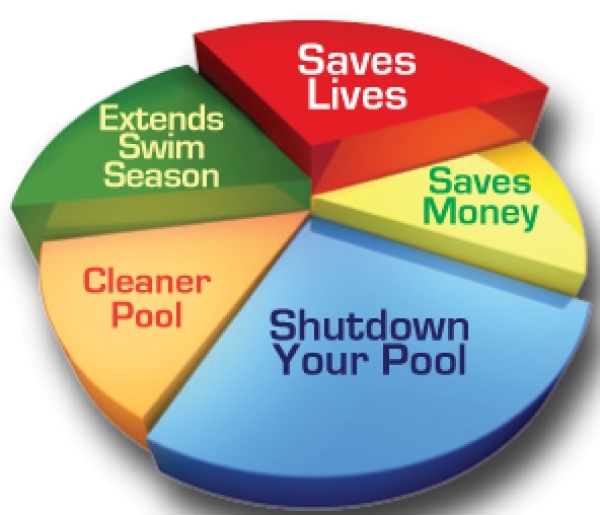 One great way to save on water costs is to install a pool blanket. Evaporation occurs when the atmosphere around the pool drops below the temperature of the water. A blanket can help to reduce evaporation that is caused from the cooling of the water at night. Pool blankets are a great way to form a barrier between the outside world and your pool. Stopping leaves and debris keeps the pool clean, fresh and ready to use without the hassle of cleaning up leaves and other debris. Stopping up to 90% of debris from entering your pool water means a pool blanket is the easiest way to keep your pool looking fabulous all year round. Experience the difference a pool blanket can make to your home today. At Pool Doctor we pride ourselves on making sure you have the correct equipment for your pool, so feel free to contact us for an obligation free quote. You’ll be swimming sooner!